Today the NY Daily News published a letter written by Archbishop Timothy M. Dolan, archbishop of New York. I am happy that the News published this letter because it is not only a message for Christians, but people of faith, and those looking for the gift of faith. The substance of the Archbishop’s letter can be summarized in this way: this is a time for peace among peoples; for love and reconciliation. And even though not all go about observing this season in the same way, we ought to respect one another! Christians, particularly, are preparing themselves to welcome the Prince of Peace, the Wonder-Counselor, the Word made flesh, Jesus Christ, into their whole being. Others will be observing Chanuka and still others will just try to live the best they now how. While faith-neural language like “holiday parties,” “Seasons Greetings,” or “holiday sale,” can get annoying, even ridiculous, our attention ought not to be exclusively on how “others” are removing Jesus Christ from view at this point of the calendar. Sure, some of our brothers and sisters are frustrated by this move away from our Christian roots. I am, too. However, I am not giving more power to those who agitate to rid the world of Advent & Christmas. So we need ask ourselves, is the frustration worth it? Is letting the secularization of our Christian culture “get to us” giving more power to the forces of the faith-neutral ideologues in our lives than need be? If so, they’ve won. Reasonable people of faith and good will won’t think of Christ being removed from our hearts or families or the work place by anyone but ourselves. We can’t blame others for everything. So, the Archbishop’s call for a truce on all that distracts from the real meaning of Advent and the forthcoming Christmastide is well-taken. I, for one, am going to get back to listening to “Christmas at Ephesus,” the recent album of Christmas hymns recorded by the Benedictines of Mary, Queen of the Apostles. Perhaps I’ll pray the Joyful mysteries of the rosary. One assumes that The New York Times would have been glad to receive an Op-Ed article from the new Archbishop of New York. The Archdiocese of New York is responsible for a very important part of the city’s educational, medical, and charitable life. The newspaper refused to print it. Such censorship only whets the appetite to know what was thought not fit to print. There are many items that the Times, which claims to publish everything that’s fit to print, has printed although they were not fit. There were, for instance, its mockery in 1920 of Goddard’s hypothesis that rocket propulsion can take place in a vacuum, a denial of Stalin’s forced famine in Ukraine and a whitewash of his show trials by its Moscow bureau chief Walter Duranty, its advocacy of Fidel Castro, and its benign regard for the Soviet spy Alger Hiss. So there had to be some journalistic equivalent of a cerebral stroke to make the editors of the Times unable to print Archbishop Dolan’s words. The cause of the apoplexy was the Archbishop’s imputation of bigotry to the newspaper. His charge was not self-indulgent whining. He did not have to go back farther than a couple of weeks for examples. First, in reporting widespread child abuse in Brooklyn’s community of Orthodox Jews, there was not the “selective outrage” which animates The New York Times against criminous Catholic clerics, whose numbers are in fact proportionally much smaller than other religious and professional groups. 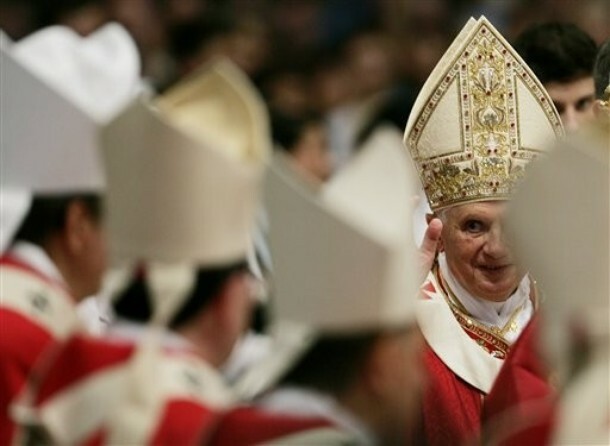 Hostility raised to such a pitch that journalistic standards are abandoned, is provoked by an awareness that the Catholic Church continues to be the substantial voice for classical moral standards and supernatural confidence amid the noise of a disintegrating behaviorist culture. A tabloid is still a tabloid even if its editors dress in tweeds. Churchill said, “No folly is more costly than the folly of intolerant idealism.” Not to worry. Christ promised that the gates of Hell will not prevail against his Church. He did not include The New York Times, 30% of whose work force has been laid off in the last year and a half. To everything that gives life and love the Church says Yes! out-of-touch naysayer–where the opposite is true. get to heaven: “A priest is an icon of the beyond, the eternal, the transcendent. 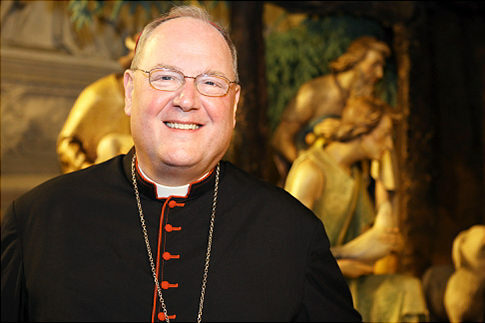 Archbishop Timothy Dolan of New York received his pallium today from Pope Benedict XVI as a sign of communion with the Pope. 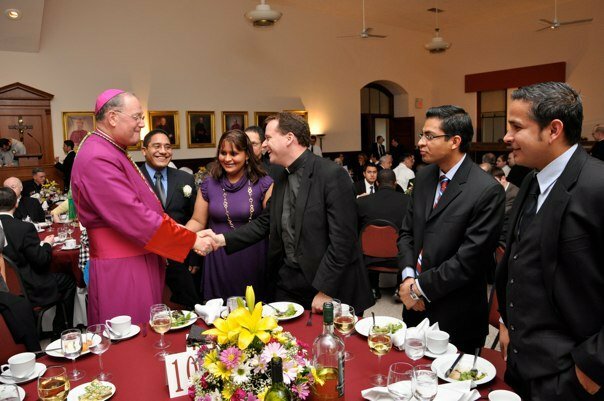 He joined 33 new archbishops including 4 other Americans who received their pallia too. Joanna Malloy of the NY Daily News is covering the archbishop’s trip; be sure to read the related articles as they provide a picture of New York’s new Shepherd. The Vatican YouTube presentation of the event.